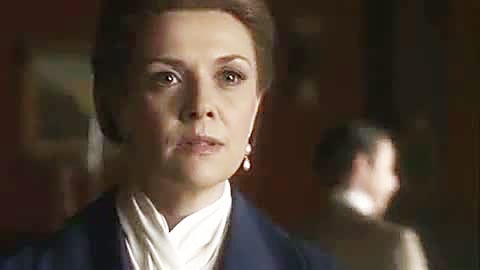 Amanda Tapping: We also do a great episode called For King And Country which explores the back story of The Five a little bit and also this other character. 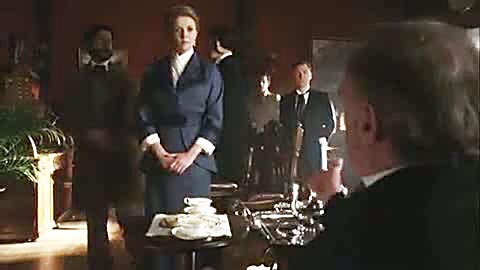 And it's a beautiful, you know back in the 1800's, early 1900's, costume drama about really what solidified The Sanctuary as an entity and what solidified The Five so that's a back story for Magnus that's pretty huge this season. We did an episode earlier this year called For King And Country which takes you back to the early days of The Five and Lee Wilson directed that and it's late 1800's, early 1900's, it's present day, it's the two stories mixing. It's beautiful, beautiful story but again if you were to flick on your television and see the cast in their Victorian garb, speaking with high British accents and in this beautiful setting, in these beautiful Victorian buildings you'd go I'm not watching sci-fi and then you hear what we're talking about and then you go oh wait! Maybe I am. But, getting to some more meatier Season 3 spoilery stuff, Amanda told us about an idea she had and went to Damian Kindler and Martin Wood to discuss it, and they ran with it. 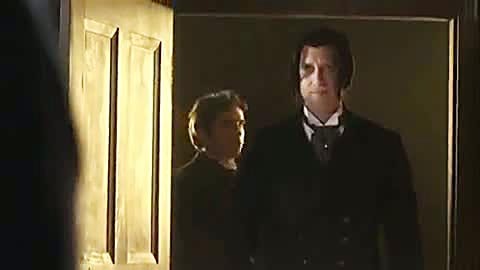 Apparently, in the episode that Lee Wilson directs, called “For King and Country” (Episode 8), there is a moment of incredible intimacy between John Druitt (Christopher Heyerdahl) and Helen Magnus, and it all happens while Druitt is knocked out. Next up was Lee Wilson, who is the visual effects supervisor from Anthem Visual Effects. We found out that Lee directed episode 8 this upcoming season, entitled For King and Country, which focuses on the 5, and possibly… wait for it… the “6″! He joked around with us for a bit about how he had thought that they would be asking him to direct a more visual-effects filled episode, but found out that it was in fact much more drama filled, and plot-driven. He said it’s mostly set in Victorian England. PIzza, wine and all new SGU and Sanctuary episodes. Trying to turn Notes Night into Date Night. @kesland - indeed I did. Magnus in pink, Will in white and several blasts from the past! 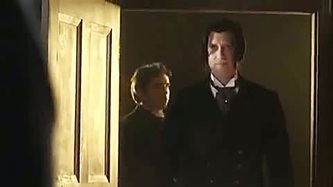 Q #1) @tigerlilybrown - Will we finally meet Nigel Griffin in season 3? A #1) Yes!! He's played by the incredible Vince Gail. Great episode about The Five coming up called For King and Country.